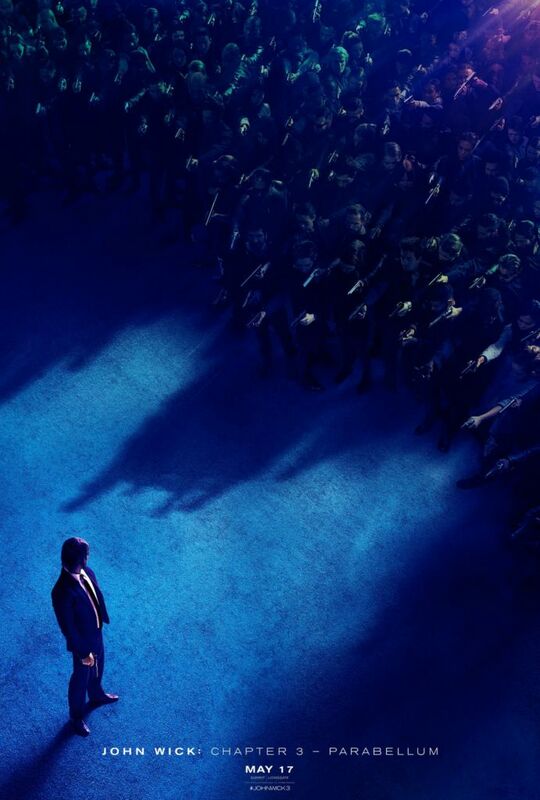 Lionsgate has released the first official trailer for John Wick: Chapter 3 – Parebellum. From returning director Chad Stahelski and returning screenwriter Derek Kolstad, John Wick 3 follows the titular Wick (Keanu Reeves) as he attempts to escape New York City with a bounty of $14 million on his head, directly following the events of 2017’s John Wick 2. Joining Reeves for the ride will be returning actors Ian McShane and Laurence Fishburne, as well as newcomers Angelica Houston as The Director and Halle Berry as Sofia. The first film, in what has now become a trilogy (planting the seeds of a possible TV series spin-off), was a surprise hit initially, making more box office earnings than what was projected and proved to be an original, satisfying action romp. John Wick 2 followed suit, continuing the franchise’s financial success and expanding on the mythology, giving audiences a closer look at the world of assassins Wick is established in. Judging from the trailer, John Wick 3 seems to keep the same momentum and excitement as the first two films, but raises the stakes even higher as Wick faces down a city of assassins. Audiences should expect more well-choreographed shoot outs and fights from the same stunt team behind The Wachowski’s Matrix Trilogy. At one point Wick will even have to escape a gang of motorcycle assassins while riding a horse. Check out the full trailer below and feel free to let us know what you think in the comments. John Wick: Chapter 3 – Parabellum is set to release in theaters May 17th, 2019.